Mercury is said to go retrograde when it appears to be moving backwards in the sky. Though it does not happen physcially it looks as if it is going backwards. But this optical illusion in the sky wreaks havoc on acitivities down here on the earth. All sorts of communications and plans go topsy-turvy not to mention romantic and love moves as well. However certain love issues are good to be done during this three week cycle when Mercury goes retorgarde. Find out how to make the Mercury retrograde period work well for your romantic and love phases of your life. • Reassert your vows and devotion in your love life or married life. Take time to be along with your loved one this partner. But do not initiate any new moves. 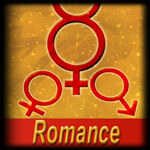 • Do take time to mend fences with your partner during this retrograde period. Get rid of past resentments and try to make amends with him/ her. Reconciliation would work well in this period. • Patience need to be exercised when Mercury goes retrograde. In case there had been a previous break-up with partner now is the time to extend an olive branch. • You could rekindle a last flame. Look up for some lost love in your life when Mercury goes retrograde. • You can revisit your ideas of pleasure this time, like your favourite hotspot, your favourite hideout or a coffee shop you used to frequent with your loved one. • At any cost make sure you do not get married during Mercury retrograde dates. Because this is the time when promises get broken easily, and thing go awry. Though everything would seem smooth between you and your partner, something creepy might get in, hence maintain caution. • Do not pursue a new love route. It would land you in troubled waters. Though it might seem right enough ultimately it would turn into a total failure when Mercury goes direct. You would not get a correct picture of relationships when Mercury is retrograde as things seem blurred. • Do not try to break up with your loved one when Mercury is retrograde. Divorce proceedings are to be strictly avoided and stalled. Else it would be a big strain for you both mentally ,physically, emotionally and financially. • Mercury retrograde is a period when your resolve gets tested. Hence make sure you avoid a distrusted person who has been trying to get your attention this period.